McCririck might say, the Tories are friendless in Croydon North. Well, at least that’s as far as the bookmakers are concerned. With a week to go until polling day in Croydon North, Ladbrokes have pushed the Conservatives out to fourth favourite, at 33/1, not only behind the odds-on favourites Labour, but also Respect and UKIP. So wretchedly unpopular is the ConDem government that the Tories’ partners in crime at Westminster, the LibDems, are rated as only 100/1 chances to win the seat. Lee Jasper – in to 16/1 from the 25/1 odds that the Respect candidate was being offered before this week’s hustings, where he seemed to think he was running for London Mayor – has been crowing over his “promotion” to second favourite. But a word of caution before Jasper or UKIP’s eccentric candidate, Winston McKenzie, now 25/1 third favourite, get too carried away. 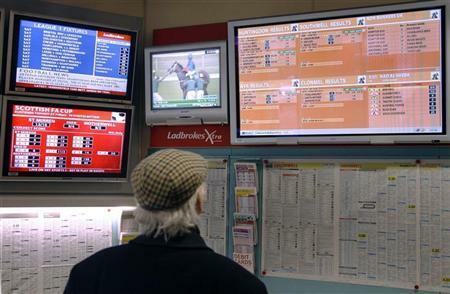 This is a betting market with no each-way pay-outs. According to the bloke with a cigarette stuck behind his ear and a can of high-strength lager that he’d bought at Tesco Express who we interviewed outside Ladbrokes in South End (apparently, these “vox pops” are an important part of local newspaper “journalism”), the bookmakers’ odds are based less on any polling information, and much more on the fact that a couple of geezers in Thornton Heath have both had a fiver on Jasper. It looks like a hard way to turn a profit – winning just £1 for every £33 staked on Labour’s Steve Reed, provided his party manages to get their vote out next week. Meanwhile, no one’s been betting on the Conservatives in Croydon North, who have thus “drifted in the market”. The reason for the lack of bets is probably because no one is able to work out what party their candidate is standing for. Or whether he stands for anything at all. This entry was posted in 2012 by-election, Croydon North, Lee Jasper, Steve Reed MP, Winston McKenzie and tagged Croydon, Croydon North, Labour, Ladbrokes, Lee Jasper, Thornton Heath, UK Independence Party, Winston McKenzie. Bookmark the permalink. I do not bet and never have (but play Lotto once a week and never win anything) so I cannot follow all the figures. However, I would vote Labour if I lived in Croydon North. Then I would pester the man if he did not do the job he is paid for. He is fortunate to inherit a cohesive constituency where people of all persuasions knew they could rely on their MP for service.